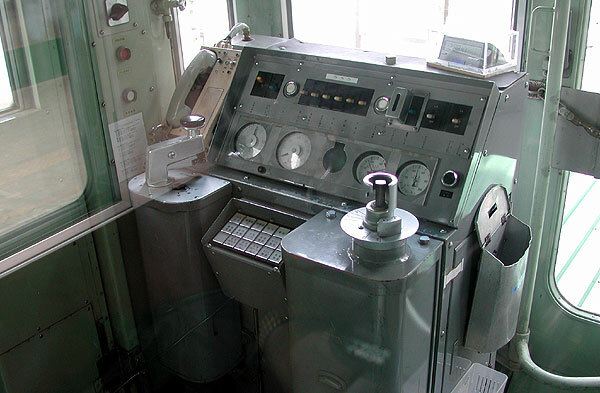 The controls of a Mitsubishi Safege monorail train. The "throttle" arm is missing because the driver is using it at the other end of the train. 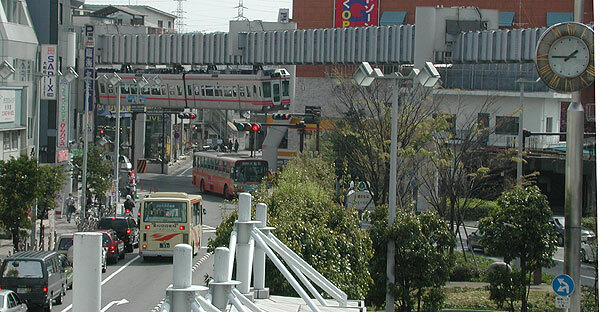 Trains change direction at each end of the line. The brake is the lever on the left. Doors are at each end for train-to-train evacuations (which to our knowledge has never occurred in well over 30 years of safe operation). 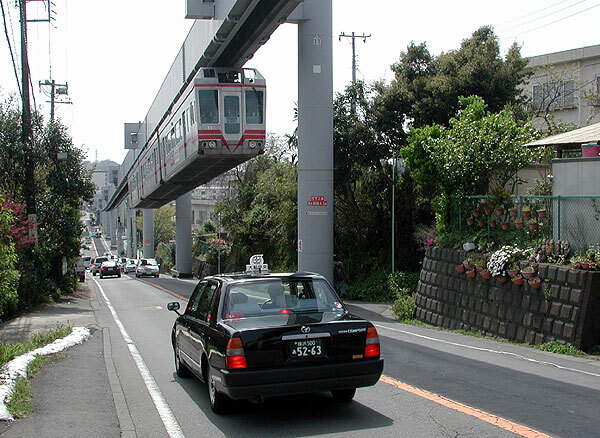 Acceleration is quick and smooth, faster than light rail. And of course street traffic isn't an obstacle. Banking is caused by the natural swing as trains run through curves. 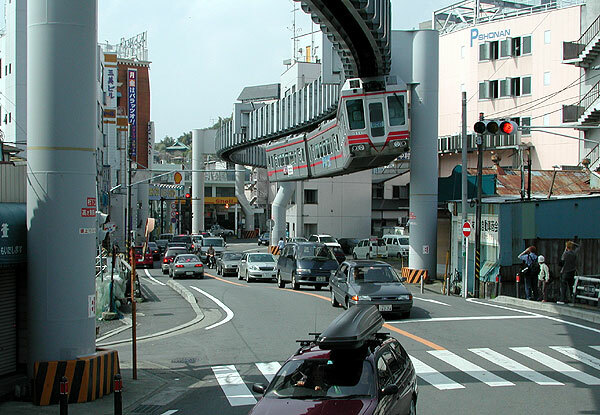 Go ahead, run a trolley line down this street and see what happens! 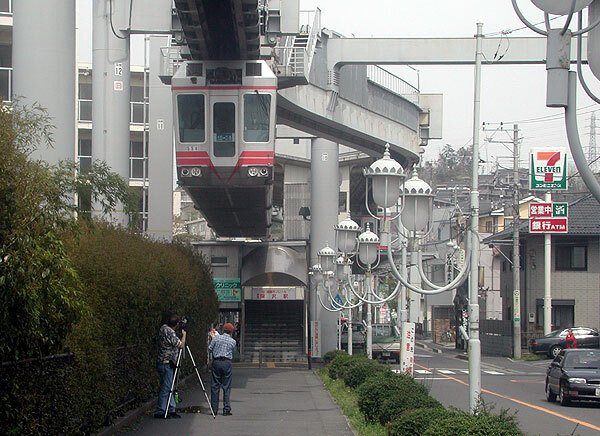 Also: note that red light-running is ok for monorail. 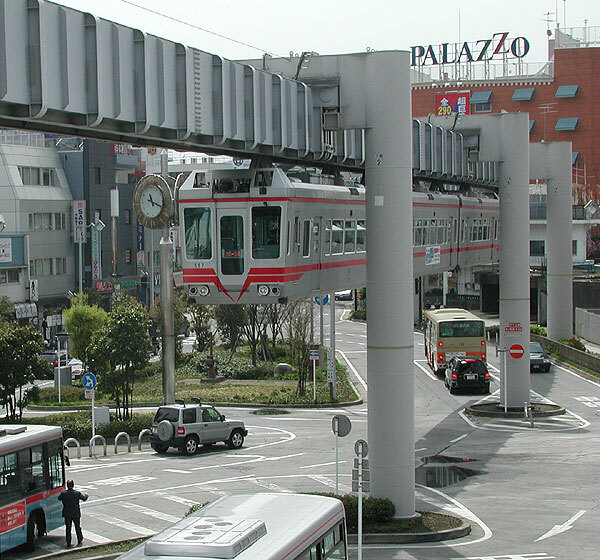 Note the interesting "bent" supports beyond the train, built where support location had to be squeezed in. I did say this is a narrow corridor, didn't I?